Each academic year, the Woodrow Foundation awards a scholarship to one Whitworth student based on academic excellence, leadership skills and financial need. 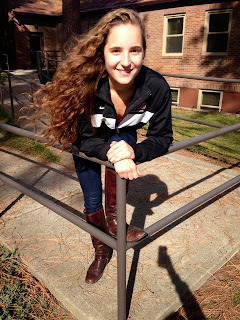 This year’s recipient is MacKenzie Wattenbarger, ’15, a chemistry major (biochemistry track). Wattenbarger’s Woodrow Foundation scholarship covers full tuition, books and fees for the 2014-15 academic year. Wattenbarger immerses herself in the Whitworth community, acting as the vice president of the Alzheimer’s Awareness Club and a member of both the Jubilation dance troupe and the Swing and Ballroom Dance Club. After graduation next May, Wattenbarger will apply to medical schools, taking her one step further along her chosen career path. She plans to be a pediatrician. The Woodrow Foundation Scholarship is awarded each academic year to one student at Whitworth. To be eligible for the scholarship, students must have a 3.75 or higher GPA, demonstrated leadership skills, and high financial need. Applications are reviewed by a university committee that selects five finalists. The final selection is made by U.S. Bank, which serves as the trustee for the Leon Woodrow estate.